Red Tiger Gaming is known for their colourful games packed with features and rewards especially with Oriental themes. Through innovation and care, they have been able to create a loyal player base that is ever expanding. The company is highly popular among RoseSlots girls too which is why we decided to help them in deciding which games would be more fun and rewarding to play on RoseSlots. Our reviewers played all the popular Red Tiger slot games and analysed them carefully in order to give you the best recommendations. It’s important to say that these games had close competition from other Red Tiger slots although statistically these were the best. 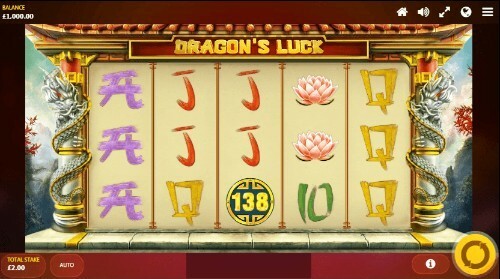 This is a beautifully designed Chinese themed slot machine that incorporates an RTP of 96.29%. It has 5 reels and just 10 Paylines but a maximum multiplier of 1380x would perhaps tell you how rewarding this game could be. You can bet from £0.20 to £60 depending on your whether you are playing for prizes or for fun. Mega Coin and Dragon Coin are 2 rewarding features that makes the Dragon’s Luck slot stand out from the crowd. This is a 5 reel 3 row slot machine with a traditional design where any symbol can go Wild. Colourful gems are the symbols that fall on 20 Paylines at an RTP of 96.14%. The Wild Symbols, the main feature of this game, will lock and go for huge wins. Stakes range from £0.20 to £60 and the calculated max multiplier stands at an impressive 1500 according to the creators’ statistics. 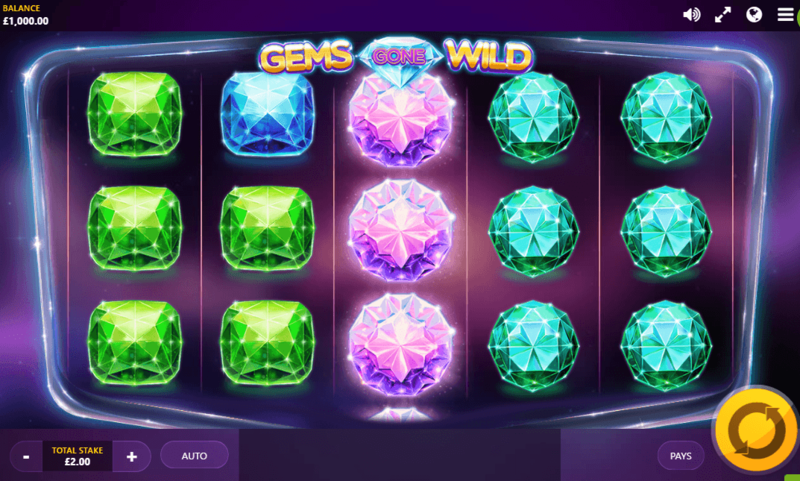 Gems Gone Wild Slot is a simple yet rewarding game. This is definitely one of the Top Red Tiger Gaming slots. Colourful and charming, this Irish slots game of 5 reels and 4 rows rewards you at an RTP of 96.14%. The maximum multiplier is a modest 800x but the multitude of features will make sure that you would grab a healthy win. Lucky Bonus feature gives you a potion to progress to huge prizes while the Lucky Win lets you fill the pot with gold coins to win a Bonus Prize. Lucky Reels fill the reels with top value symbols while Lucky Nudge gives you a sure win. Random Wilds and Lucky Swap are 2 more generous features. 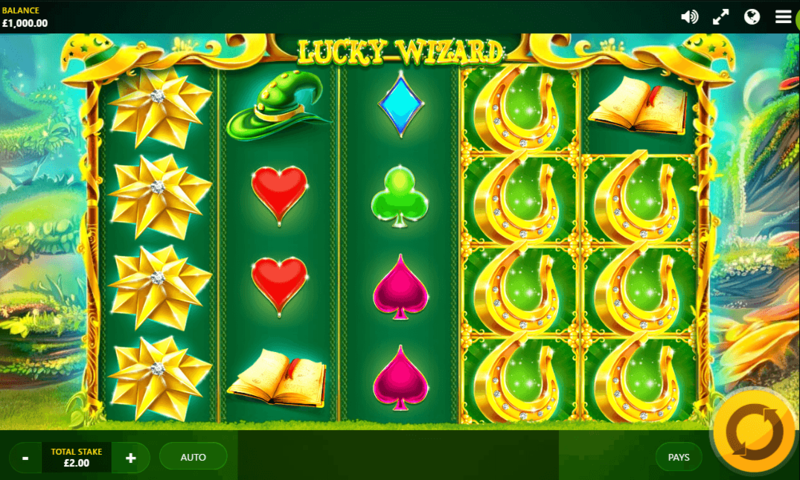 The Lucky Wizard Slot game deserves a place in the Top 5 Red Tiger Gaming Slots. Another Irish slot filled with features and rewards the Red Tiger way. The Leprechaun would personally take you to a huge win if you are lucky, but you can win big on your own too. 96.15% is the RTP of this 3x5 game where stakes range from £0.20 to £80. 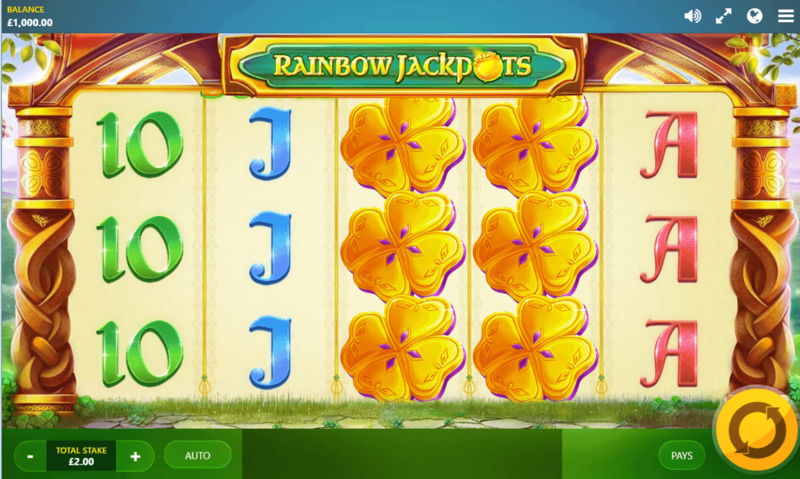 Lucky Leprechaun, Free Spins, Mega Free Spins, Symbol Swap, and Mega Symbol Swap are fascinating features of the Rainbow Jackpots Slot. There is even a Beer Bonus and a Triple Beer Bonus in its endless list of impressive features. The max multiplier is 1054 according to the creators. This is a masterpiece of Red Tiger Gaming. Here is your chance to play a traditional fruit machine coming with a modern touch and fabulous features. A maximum multiplier of 5000x could not go unnoticed by the high roller although the stakes range between £0.20 and £20. 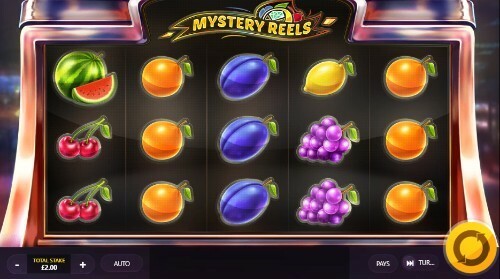 Rewarding at the RTP of 96.24%, Mystery Reels slot machine offers a Wheel Bonus feature which is rewarding and entertaining alike. And the Mystery Symbols feature would clone a random symbol across whole reels thus creating huge wins. With a touch of the digital world, this fruit machine could be the perfect blend of old and new.